Plain and static content does not work anymore when it comes to driving customers. Instead, big enterprises and small businesses now prefer interactive content to engage the target audience. A user interacting with content also engages with the brand for a long time. That is a great strategy to convert users into customers. Interactive content is the norm of the day for marketers across the globe. They no longer create a conventional piece of content that was one-sided as well as boring up to some extent. Such content included static blog posts, fixed landing pages, and unengaging pdf forms. There was just some information and details for the readers or users. On the contrary, the modern way of creating a content piece is the way to engage the users actively.This is what we know as interactive content today. It is a better way for a marketer to educate and engage the audience with a brand. Most businesses have already switched to Interactive content considering its benefits. A Content Marketing Institute in its survey revealed that 75% of the marketers wanted to increase their use of interactive content in marketing. In fact, 51% of the surveyed companies were already using interactive content for past many years. Many of them think that interactive content has a reusable value. One of the key features of using interactive content is that you can create it for every platform. You should take it as a standard component for your marketing programs. So, even when you are using traditional content, some interactive elements can be incorporated into it to make it more engaging. Here are the channels where your interactive content can work effectively. a) Social Media – To explore social media through interactive content, you should think of using a quiz or a contest to engage the audience. Your social media page must have the elements to engage your visitors in your content. c) Paid Media – When you create CTAs that have interactive calls, it will generate higher click-throughs. d) Blog – Incorporating some interactive components in your blog will surely help in engaging your users and readers. e) Email – Instead of a static and straightforward email, visual and interactive email content will grab attention.It will help drive more conversions and click-throughs. This will ultimately result in better email ROI. Many companies are still lagging behind in implementing interactive content marketing strategies. They are still abiding by the rules of old static content that fails to grab the attention of the modern audience. Remember that your competitors have already captured the attention of potential buyers. If your small business still follows the old style of content creation, you will find it increasingly harder to compete in your niche market. People navigate several websites daily. They pay only a little or no attention to most sites which fail to engage them with content. 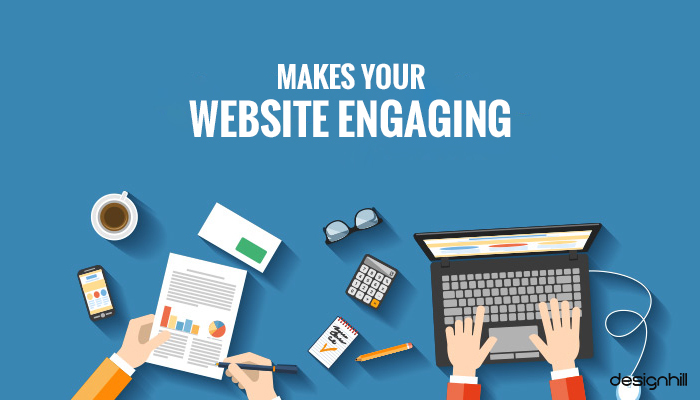 Just a few sites are successful in engaging the users. These are the sites that have interactive content. So, you need to provide them engaging content at every point of their buying journey. Interactive content can catch the attention of your potential audiences. Several studies have found that this type of content is especially helpful in educating your online customers about your products or services. This is because such content provides the actionable information that even compels users to take a buying decision. For example, all businesses use call-to-action in their websites as part of digital marketing strategy. But if these buttons have an interactive content that says something to the users about the urgency of the action, it will persuade them to take the desired action. 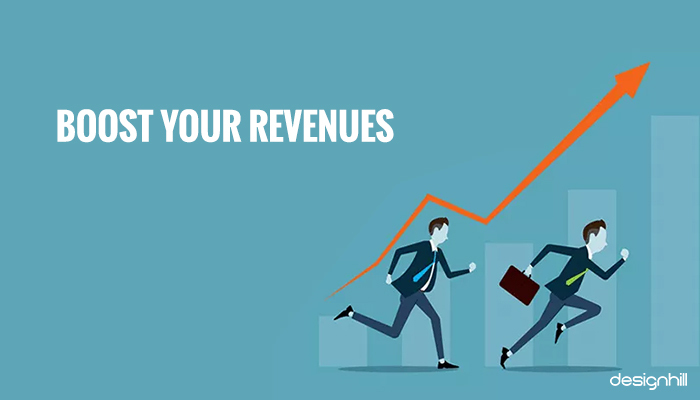 If you have successfully attracted and engaged your customers, it will ultimately end up giving a boost to your sales and revenues. Many companies have experienced a manifold increase in their conversion rates after they focused on interactive content marketing. Since interactive content is all about encouraging the users to involve themselves actively in what they are reading and viewing, the probability of people sharing it brightens up. 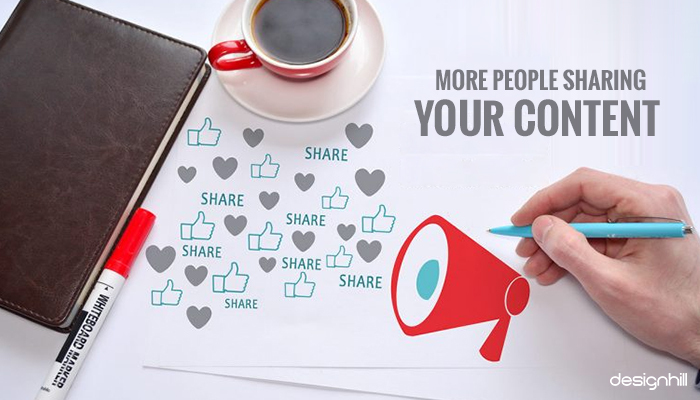 As they have found your videos, infographic, blogs, and other content highly engaging, they would like it to share with their peers on social media and other platforms. This way, your users become your vehicle for taking content to many thousands of other potential customers without spending additional money and time. This is precisely the reason that marketers change web content over the course of time. They want to deliver fresh and updated information to the audience. Many people share such updated information on the web. Amongst such content that engages people are infographics, podcasts, videos, webinars, and calculators. When people interact with your content, your logo design also becomes visible to them all the time. This way, an engaging content along with your logo is your potent marketing tool. 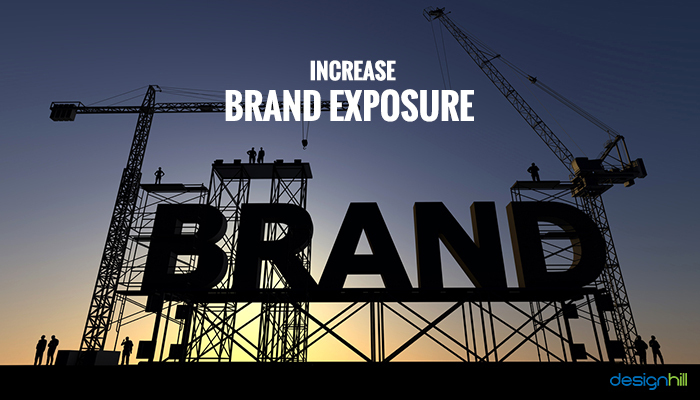 As more and more people engage with your content, this implies that your brand will get maximum exposure. Because of the engaging content, your brand’s credibility also grows with the time. 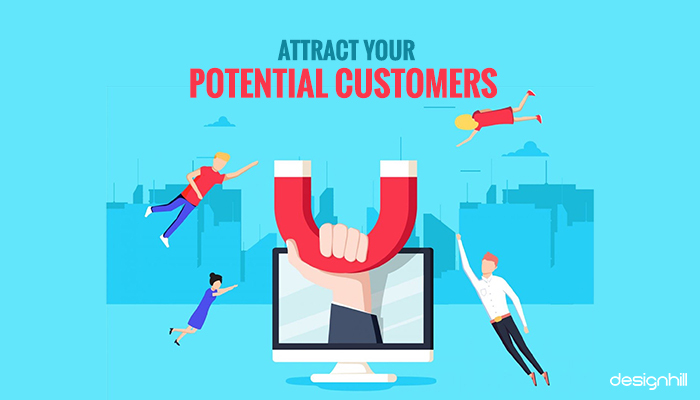 You can engage your potential customers with your brand, which is directly related to increased brand awareness.There are already several studies which showed that the companies that improved their brand exposure registered even 300% phenomenal increase in their leads. Another key advantage of interactive content is that it changes your website design to the larger extent. When you incorporate the components for the interaction of people with your web pages, its design takes a new shape and look. You need to create web page design keeping the elements of interaction in mind. 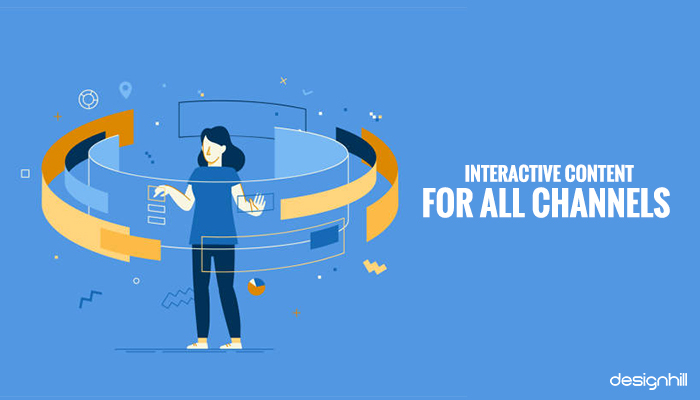 You will be distributing the interactive content over the web pages.Depending on your business and your strategy to engage your website visitors, you will incorporate interactive videos, quizzes, surveys, infographics, etc. One of the things that interactive content does to your website is that it enhances the level of user experience. The visitors have an exciting and unique experience at your site since they were engrossed in the content. They were actively engaged with whatever they were reading or viewing. As a result of such an active involvement of users, your website and business receive a tremendous amount of traffic. More traffic means that the online presence of your small businesses increases tremendously. 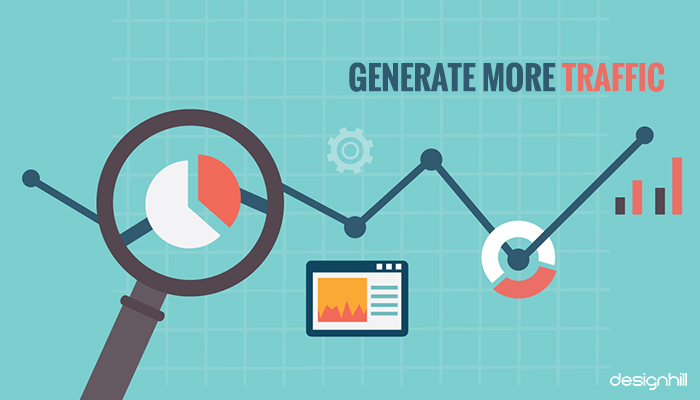 One of the primary goals of digital marketing is to generate more traffic to a website. This goal can be met through interactive content. There are several types of interactive content available to modern-day marketers. These come in both the text and visual mediums. You can explore all those content types to get maximum brand exposure. 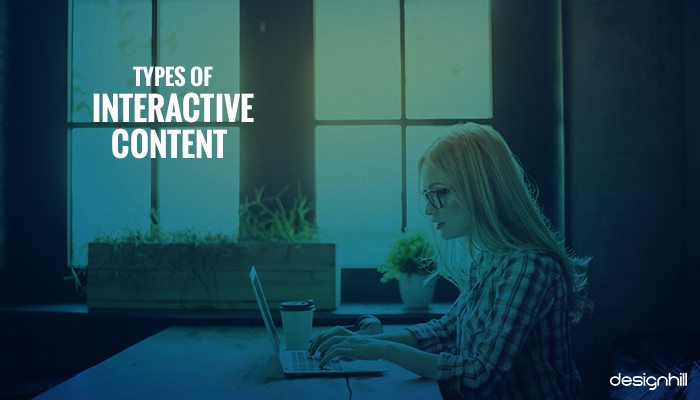 Here are some of the key interactive content types you should explore. Videos are already gaining popularity as an effective marketing tool to drive traffic and build brand identity. But interactive videos are even more efficient to grab the attention of the users. A majority of marketers think that the ROI of videos is the best of all types of content. Even consumers prefer getting information through videos. This is a video is something that we like to watch in our spare time for entertainment purpose. 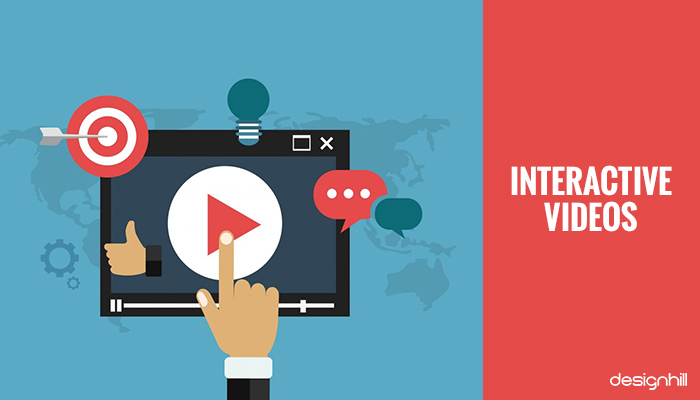 If you insert some interactive elements in your videos, it turns out to be a smart strategy for your brand promotion. Amongst such elements is the use of hotspots. Hotspots are the tags that display additional information when the users click on them. So, you can direct the viewer to a particular section of your website and even video when they click on the hotspots. You can take your viewers to specific markers that are in the video, So, you can link to a website from your videos. Infographics are a surefire tactic to get an enormous amount of traffic. You can be ahead of your competitors by many miles if your infographics are creative and imaginative enough to grab the users’ attention. Most infographics are clicked or scrolled by the users. They can bring more backlinks and a massive amount of traffic. 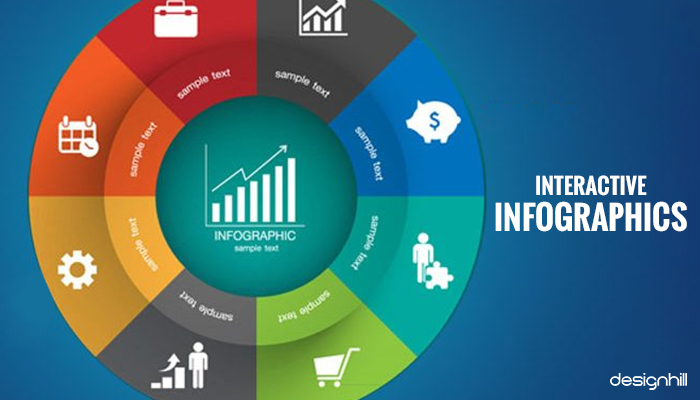 Make sure that your infographic encourages the users in actively participating in the content. Use animation, colors, fonts, images and many other elements to keep them glued to the content. However, you need to create infographics carefully after considering its different aspects. These are professional graphic designs that should be loaded with engaging and interactive elements. Calculators are great tools to generate leads and sales. You get the users’ input and create an answer generally in numerical. These tools are highly sought-after by the users as there are only the numbers and not any text involved. So, rather than posting a lengthy blog to describe the product or service of small businesses, you offer only the data to the users in the shape of the calculations. They get great value for their efforts when calculating something. During the calculation period, the user is engaged with our product or service. 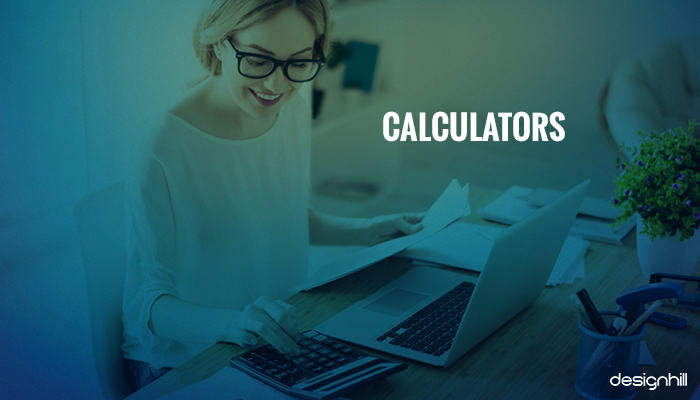 There are calculators available for almost every field today such as marketing ROI calculator and calorie calculator. Surveys and polls are generally for getting feedback from the users. These are actually the oldest form of interactive content that is used even today to drive audience. When you collect data through surveys and polls, you are engaging people with a brand. 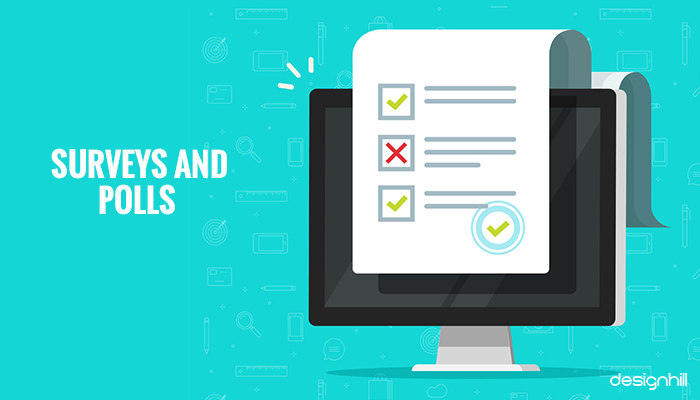 Marketers use short polls and surveys to get information from the users. However, if such content is too lengthy and involved too many questions, people lose their interest, and you do not understand the desired results. Make sure that you reward the users for successfully taking part in the polls or surveys. But there is a difference between the two. A poll has just one multiple choice question. A poll form is generally placed at the bottom part of the screen. The interaction is usually minimal. On the other hand, surveys ensure greater interaction. This is because there are multiple questions asked, which means the user will take a longer time to complete the poll. Hence, the user will be engaged with a brand for a longer time. But the people should be convinced to take all the steps during a survey. Make sure that your study is user-friendly. 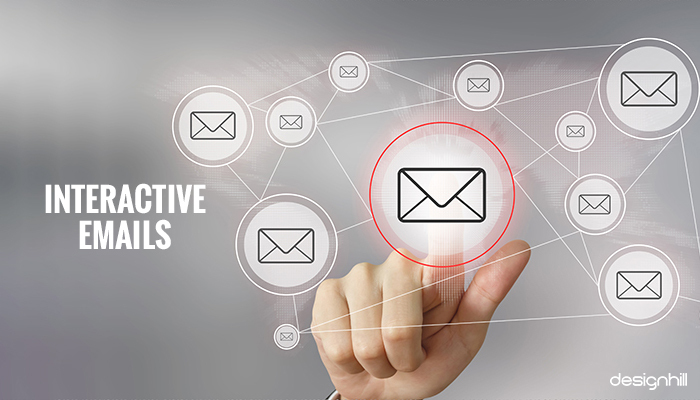 As compared to plain and static emails, interactive emails have enormous potential for conversion of the users into customers. Such emails also nurture your most valued relationship with your clients. Emails are also one of the most significant ROI, and if you add some interactive elements to your emails, it becomes a tremendous marketing tool for your brand promotion. You should get graphic design services of an experienced professional designer to create interactive designs of emails. The designer will design and incorporate those elements at the right place in your emails. An assessment is another useful interactive content. The user is provided with some answers to the questions that are asked regarding the personality of people. Thus, you can have some insight of a personality based on the responses. 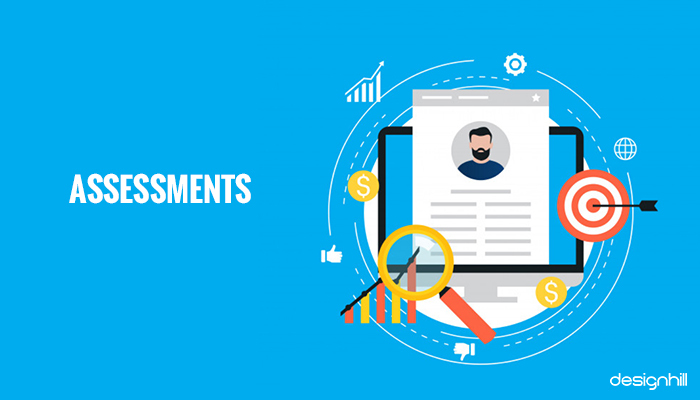 By creating the assessment content, you can get a lot of valuable data about the users. So, wherever a user may be during the buying journey, you get the data about a user. White papers and e-books are different contents, but they are created to share plenty of information. The information is presented concisely. However, absorbing so many details on a topic is not easy for most readers. 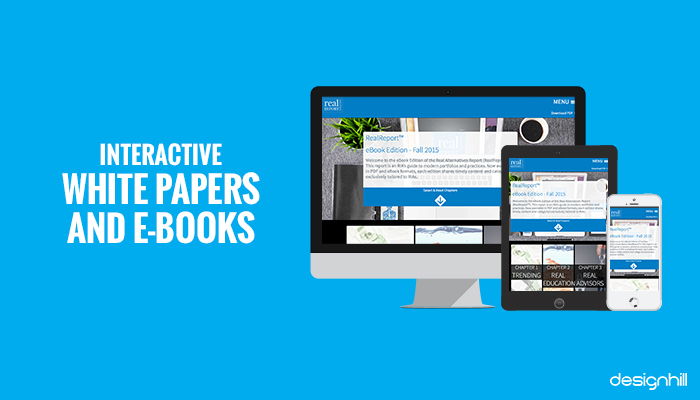 Thus, interactive elements can make the reading of an e-book or whitepapers a lot engaging. You can put some infographics, even animation depending on the topic, images, and possibly some videos also to engage the users. 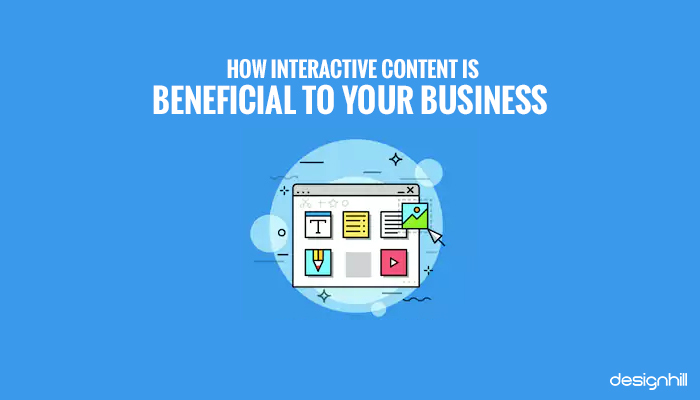 Both of these types of content will reward you with an increasing amount of leads and sales in the end.So, these are the critical things about interactive elements you should consider when turning various types of contents into useful marketing tools. During your marketing campaign, you will need a lot of marketing material such as business cards, websites, logos, etc. At Designhill, you have access to dozens of designers who are willing to work on your project. You can get a winning interactive design for your business at affordable prices at this freelance graphic design platform. 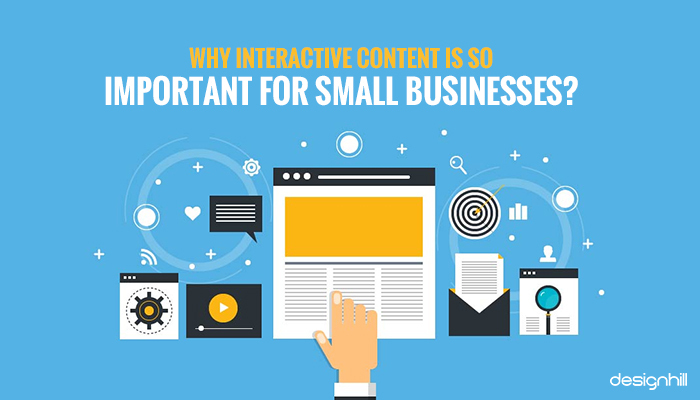 Small businesses use interactive content to generate leads and sales. People like to read and view content in a lighter way so that they grasp information without burdening their mind too much. By incorporating interactive elements in videos, infographics, calculators, email, etc. content, you can drive an enormous amount of traffic.